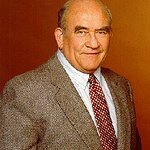 Hollywood Poker, the #1 and only online celebrity poker game on Facebook, iPhone and iPad that connects poker enthusiasts to play with celebrities, has teamed up with the Michael J. 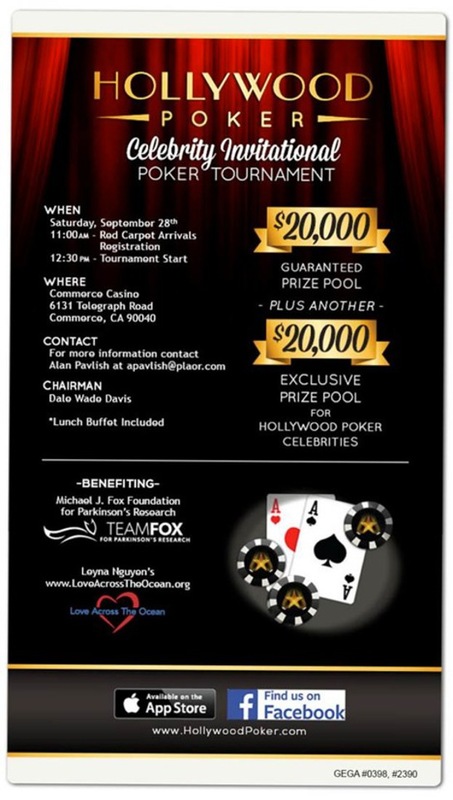 Fox Foundation and Love Across the Ocean to bring a celebrity charity poker tournament to Southern California. The live poker tournament takes place Saturday, September 28th at Commerce Casino. The event is open to the public (with limited availability) for a chance to play and rub elbows with celebrities, win money and other prizes. The red carpet affair begins at 11 am and the tournament will commence at 12:30 pm. Hollywood Poker is guaranteeing a Prize Pool of $20,000 and is also adding a Hollywood Poker Celebrities Only Prize Pool of $20,000. “We are looking forward to this star studded event to help raise awareness on matters of heavier weight with celebrity philanthropists who care and continue to partner with us to make that difference”, says Actor and Poker Chairman Dale Wade Davis. This year’s event expects to see the likes of Kate Linder, Adrian Paul, Dean Cain, Michael Vartan, Nicholas Gonzalez, Samm Levine, Yancey Arias, Tony Denison and Victoria Pratt. Past celebrity supporters and poker players include Jack Black, Tenacious D, Kevin Pollak, Brad Garrett, Daniel Baldwin, Lou Diamond Phillips and Brian Krause to name a few as well as poker pros Men “The Master” Nguyen, Annie Duke and John “Razor” Phan. A little can go a long way. The Hollywood Poker Celebrity Invitational reaches to help people around the world and this year’s tournament will support two deserving charities. Proceeds will help find a cure for Parkinson’s disease with research programs and clinical trials through the Michael J. Fox Foundation and will also benefit Love Across the Ocean, which helps feed families, rebuild schools, treat the sick and gives the ability to sponsor a child for less than $2 a day. To register for the tournament, please visit HollywoodPoker.com.